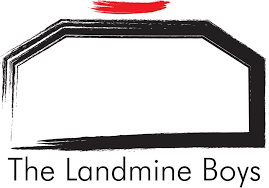 The Landmine Boys, a group of University of Waterloo students dedicated to the safe removal of landmines, have won the fifth annual Canada’s Business Model Competition. The competition, which rewards university teams that have researched their market to develop a business, was held last weekend at Dalhousie University, which initiated the event in 2012. Launch Dal, the university’s innovation initiative, said 80 teams from 25 universities across the country applied for the event, and 35 teams participated. Landmine Boys founders Richard Yim and Christian Lee were awarded the $25,000 first prize, and will travel to the 2017 International Business Model Competition on May 11 and 12 at the Computer History Museum in Mountain View, Calif. The Landmine Boys use excavation robots to remove landmines from the terrain in countries that have endured war, such as Yim’s native Cambodia. The goal is to ensure the safety of human operators and so mines can be removed or neutralized without endangering personnel. It’s the third year in a row that the top prize was claimed by a team associated with the University of Waterloo. Two years ago, the event was won by Heads Up, a team of students from three universities including Waterloo. The $15,000 second-place prize went to Dalhousie’s own Axem, founded by Tony Ingram and Chris Friesen. Axem is a wearable technology that allows athletes to track their brain activity to enhance performance. Their second-place finish was the best performance of any purely Atlantic Canadian team since the first year of the competition. A Queen’s University team called Rockmass Technologies took away the third-place prize of $10,000. RockMass Technologies, led by CEO Matas Sriubiskis and COO Shelby Yee, collects and analyzes data on rock structures for geologists working in mining, geological exploration and civil engineering. During the two-day competition student entrepreneurs were matched with mentors for coaching before the semi-finals Friday and finals on Saturday. Eight final teams then presented their pitches in the finals. The panel of judges comprised Matt Campbell (Deloitte), Jon French (NEXT Canada), Charlotte Rydland (Entrepreneur-in-Residence at Propel ICT), Chris Cowper-Smith (Co-founder of Spring Loaded Technology), Cam McDonald (Co-Founder of Iconic Brewing), and Ying Tam (MaRS IT Healthcare Group).